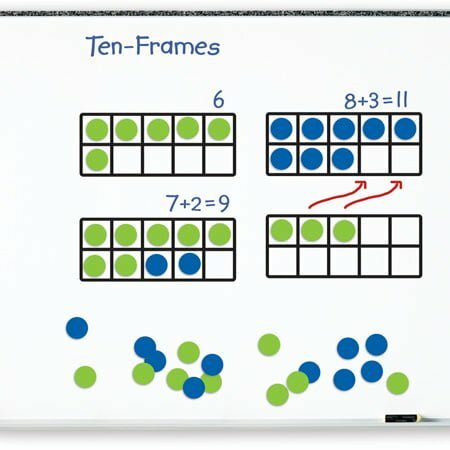 Easily demonstrate number concepts on the whiteboard! Giant magnetic ten-frames and colorful discs allow students and teachers to explore number and operations, base ten skills, and more. Includes 4 magnetic frames, 40 discs (20 green, 20 blue), and Activity Guide. Frames measure 12¼”L x 5″H.